How Do I Understand What the Bible is Saying to Me? The Bible is full of profound messages and soul gripping truths. Yet, it can also be a source of great division and animosity if misinterpreted for our own agendas or taken out of context. Wars have started over misinterpretations of a single verse! Therefore, it is crucial we use proper hermeneutics when studying the Bible. Hermeneutics is the art of interpreting the Bible. I use the word “art” because it involves a developed skill and a curious, imaginative mind. Curious because the more you explore and unpack Scripture, the more nuggets of treasure you find. Imaginative in that, the more you can put yourself in the mindset of a Hebrew farmer, a God-fearing Gentile, or a Roman soldier, the better you will understand the setting of the Scripture. A work of history never veers far from its historical setting, lest it be fictitious or erroneous. The Bible is no different in that sense. The Bible can only be understood properly in its historical setting and each book comes with a whole different circumstance and place to understand. If you study James, then you will want to know of the diaspora—the scattered ones. It is crucial to know that James is written to the Jews scattered all around Jerusalem because they were persecuted and had to flee the Holy City. If you are studying Revelation, you need to have understanding of apocalyptic literature. You need to know about the reign of Nero and why John wrote in “code.” Without the context, you can’t know the author’s intention. God inspired Scripture, but man’s imprint is there. In studying the languages, you will see a vast difference between Luke and Paul’s usage of Greek. Luke wrote precisely and with great articulation; no surprise, as he was a doctor. Paul often wrote in run-on sentences and used emotive, and even evocative, language often. Two very different styles between these two but both inspired by God to write His message. God wrote this for men to comprehend, and that means it is written in the setting and situation of the times. The Bible comes alive when you take the time to get into its context. Understanding the difference between things like wheat and tare, importance of circumcision, the feasts of the Jews, the Pax Romana, the shipping routes to the cities beside the sea, the idols of the day, become vital to properly understanding what the biblical authors were saying. If we fail to do this, we can be guilty of what is called isogesis. This is when we “read into the text whatever we want it to say.” Many are guilty of this today—from the prosperity gospel to racism, from holy wars to those who disdain Scripture. All of these make the Bible fit their agenda. We must let the Word speak clearly what it says, interpreting Scripture in light of other Scripture. Never build a theology on one verse! We must recognize that there are some difficult passages in the Bible to understand, and the best way to understand them is in light of other Scripture. These difficult passages cannot be passed over but given thoughtful reflection in light of context, genre, author’s intention, syntax, and in light of other Scripture. Before you interpret Scripture for someone else’s benefit, make sure it speaks to your heart and mind first. Let me say it this way: Don’t read the word as much as you allow the Word read you. The Word is alive as the Holy Spirit takes it and moves in our lives with it. I have found this movement of the Spirit starts with my dedication and diligence to study. It doesn’t happen without real investment in the Word. As a Christian, the Word is our authority. In speaking to those who are skeptics, they will dismiss Scripture as authoritative. Yet, for a believer, it is the Word that is the voice of God. You have nothing of supernatural consequence to say outside of the Word. If they reject that, then you have done what you can. I don’t mean stop loving them. But arguing with them is fruitless. Concordance—This allows you to find the occurrences of a particular word throughout the Scriptures. This is very important in understanding how that word is used in different settings and context. The more you see it used, the clearer it becomes in its meaning. A good study Bible has this in the back. The Internet has good tools for this as well. Here is just one—http://biblehub.com/concordance/. Study Bible—A study bible will have notes, usually at the bottom of the page, that will help interpret the Scripture for you. It also gives introductions to each book so that you know the date, author, setting, and occasion. I recommend the ESV Study Bible, MacArthur’s Study Bible, or the new Christian Standard Study Bible. Bible Dictionary—A Bible dictionary allows you to learn more about a topic, not only within Scripture, but the greater world at that time. For example, if you looked up the word “crucifix,” you would read about the Romans use of it and why they used it. 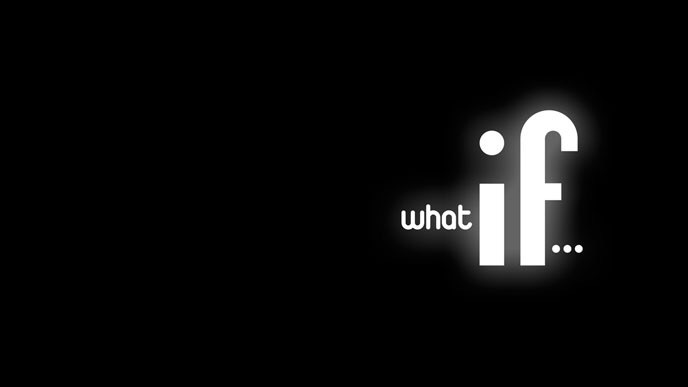 You would have a much clearer understanding of what it meant for it to be the way in which Jesus died. 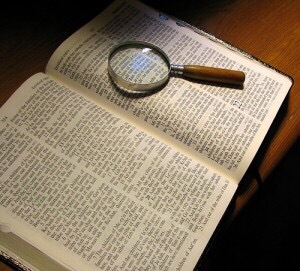 Here is a great source for several solid Bible dictionaries: http://www.biblestudytools.com/dictionaries/. Let us be diligent to read the Word and to take time to understand it within its context and setting. Our study will not be in vain. Riches await! Christi and I were driving home from Nashville and we were bored so we came up with a list of ten ways you might be a Baptist. I didn’t grow up Baptist but she did. She resonates with many of these. What about you? 1. You think the wedding feast in the Bible is a potluck. 2. You think the front pew is reserved for the Holy Spirit because you sure aren’t sitting there. 3. You’re mad at the pastor for going past 12:00 because you couldn’t beat the Methodists to your favorite restaurant. 4. You think John the Baptist was your first member. 5. You think your pew was reserved for you for life. 6. You are scared to show any emotion while singing, lest someone might think you are charismatic. 7. You are very sure the “wine” in the Bible was unfermented grape juice. 8. Your neck tie stops an inch above your navel. 9. You think God’s presence is strongest in the back three pews. 10. You consider Sunday lunch part of the service. 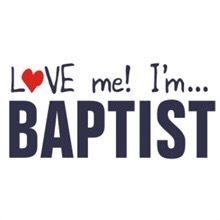 In all seriousness I am honored to be a Baptist. They hold strong to the word of God and are willing to be unpopular to stand for truth.